Halloween is looming, so let’s look at a phantom lurking in southern British English (SB) which mystifies and disturbs some sensitive souls. I’m referring to the behaviour of the sound /r/. SB is a non-rhotic accent family, which means that it allows the sound /r/ only when a vowel follows, eg right, very, for example. It is not allowed before a consonant or a pause, eg forty four. This loss of /r/ occurred in England during the 18th century, and resulted in extensive mergers of word sets which remained distinct in the more conservative accents of Ireland, Scotland and North America. START words merged with PALM, NORTH with THOUGHT, and lettER with commA. In southern Britain, sequences like there‿are, under‿a, professor‿of, where‿are and your‿eyes would be very likely to have linking /r/, but in Deep-South-African English the historic /r/ of words like there, under, mixture, where (and far, sore, Gibraltar, etc) has been more completely exorcized. Or in other words, /r/ may appear intervocalically but not after j/w, ie not after FLEECE, FACE, PRICE, CHOICE or GOOSE, GOAT, MOUTH. Unwritten /r/’s have presumably been heard as long as START, NORTH and lettER have been merged with PALM, THOUGHT and commA. Copious evidence from old films explodes the myth that unwritten /r/ is a recent phenomenon. Here are clips illustrating unwritten /r/ from Pathé newsreels of 1935/6. First (on the recently deceased Lawrence of Arabia), “changing his name to Shaw‿and forsaking his high rank”; next, “Viceroy of India‿and Lady Willingdon”; then “his innings gives South Africa‿a fighting chance of victory”. RP-speaking actors seem to have been freer to use their language than more “official” speakers policed by authorities such as the BBC. Phonetic witchfinders in some quarters declared unwritten /r/ to be an unpermissible “intrusion”. By this stricture, speakers were effectively expected to de-merge lexical sets which had been collapsed in southern Britain for perhaps two centuries. This made little more sense than telling speakers to start pronouncing words like meet and meat differently on the basis of their history and spelling. This inhibition of linking /r/ artificially converted self-conscious RP to the Deep-South-African variety of non-rhoticity. Pronouncing English the way it’s written is a major part of what non-native learners do wrong; they tend to pronounce the English orthography, using the phonology of their own first language. Spanish speakers, for example, tend to pronounce English rhotically, because Spanish is rhotic: it has coda /r/, as in por favor. Japanese speakers, on the other hand, tend to pronounce English with Deep-South-African non-rhoticity, because Japanese /r/ occurs only before a vowel (hence apāto ‘flat, apartment’), and because Japanese, like German, tends to insert glottal stop before word-initial vowels, so that they have no linking /r/ even when written. But in general neither Spanish nor Japanese learners will pronounce any /r/’s they haven’t seen in the orthography. So it would be pointless to tell my non-native students to avoid unwritten /r/: they don’t use it anyway. The scant few non-natives who do use it are those with an excellent ear who least need my input. Earlier this year Italian phonetician Alex Rotatori, who has extremely native-like SB pronunciation, posted a connected-speech transcription about his home town of Tarquinia, beginning tɑːkwɪniər ɪz… Alex’s transcription of unwritten /r/ isn’t a sign that he’s succumbed to the powers of darkness, it shows what a good phonetician he is. Linking /r/ may not follow the historic distribution of /r/, but it’s phonologically well-motivated, bringing English into greater conformity with the universal preference for alternating consonants and vowels. Whereas consonants generally need a vowel to be “sounding with” (con-sonant), vowels themselves can be free-standing. We might therefore expect to find languages without consonants; but of course we don’t. Streams of consecutive vowels would be unintelligible: it’s the alternation of vowels and consonants which makes spoken language possible. Some might consider it rather strange that a language would separate abutting vowels with /r/, an apparently arbitrary consonant compared with the more neutral ʔ, which simply stops the glottal sound source of the surrounding vowels. A possible explanation comes from the great linguist Roman Jakobson‘s classic 1952 collaboration with Fant and Halle, Preliminaries to Speech Analysis, which analyzed the RP /r/ as the syllable-onset manifestation of schwa. They defined this variable, colourless vowel negatively, as neither i-like, a-like nor u-like. When unstressed it tends to be [ə]; when stressed (as in the STRUT set) it is opener, [ʌ]; and when in a syllable onset it is more constricted. This constriction, thanks to its negative definition, might be articulated variably, with bunching of the tongue body, and/or tongue-tip activity, and/or labial activity. Such an analysis may be a mindstretch for those who cling to the notion that speech sounds are neatly IPA-defined body movements; but it suggests how the use of /r/ to separate abutting vowels might be the filling of an intervening consonant position with what counts in the relevant accents as a neutral value. Certainly several linking-/r/ accents, including those of southern Britain and New York City, exhibit considerable lingual-labial indeterminacy in /r/. The rules which truly describe a language – the rules inferred almost miraculously by infants as they acquire their language natively – are unwritten rules. Any “rule” which has to be spelled out to native speakers and imposed upon them is obviously one which clashes with the actual rules they have in their heads. Linking /r/ is one of these miraculously unwritten rules. Phoneticians should promote a scientific attitude to speech. If I were analyzing, say, a native American language or a Bavarian dialect, and I described one of its phonological generalizations as “intrusive”, an unwanted disturbance, I’d rightly be accused of silly prejudice. Halloween is the day we indulge in scary old myths; that aside, let’s move on. Oh, I love the linking /r/! But not always, rɒˈlɑ̃ːd for əʊˈlɑː̃(n)d sounds decidedly wrong and odd. Sometimes I fear British Pathé will ring the doorbell of your house and say that you should remove all the uncredited videos of theirs you post. That news reader from the 1935 clip has some really lovely and unrecorded pronunciations: kɒˈstjuːmz (to use the John C. Wells syllabification), k[r]ɑʊd, with that gorgeous ‘rolled r’, ˌkʌlˈkʌtə, something resembling [mɑːˈrɑːdʒɐ] and mɑːhɑːrɑːˈniː, where that ɑː sometimes sounds really fronted, which makes me wonder if you will ever dedicated a post to American English and the current IPA scheme used to transcribe it. I’m probably imagining, but I thought that yesterday there was a clip with the word temperature, but now it’s gone. You have no idea how happy it makes me to hear all those ancient, almost a century old voices. And I have to say: I am amazed and baffled and it seriously intrigues me how you are able to pull these things off. Not one, but three clips with the phrase. How does one do it?! It’s as if you have some sort of a scan which goes through a million clips and find you the one with the desired worda and phrases. Thanks for all the early sound clips. There’s a treasure house in all these early recordings that needs to be preserved. The British Library has made a start. 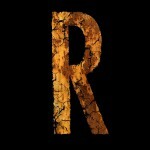 I’ve noticed that some recent work on the intrusive r refers to it as sandhi-r. While on the topic of r, it’s perhaps time to look more closely at bunched r production. British phonetics manuals have targeted RP so closely that the focus has been on the apical and laminal varieties that your examples illustrate so well, and largely ignored the bunched variety the rest of us have always used. My guess is that it will turn out to be uvular with a constricted upper pharynx. When Ellis reported the Kentish variety of Southern British, he described it as a burr, the term used in the late 19thc for uvular. Where has the British Library collected the recordings: on a CD or online? Hello Sidney – thanks for reading. I think sandhi is just Sanskrit for ‘linking’, and doesn’t imply ‘intrusion’. Of course, plenty of British speakers have r which is dorsal and/or labial. (As you may know, I did a post on bunched r.) But the IPA philosophy is to define each symbol in simple articulatory terms, one articulation to one symbol. The crazy thing about ‘r’ cross-linguistically is that we use the label to describe sounds made with just about any value of place and manner except oral/nasal stops. Even more striking to me than the articulatory variability is the variability in the actual sounds. I suspect that ‘r’ tends to be characterized negatively – as a continuant that lacks other distinctive values in the system. Strange? Why? Aren’t the languages just using the grapheme symbol to illustrate simply and effectively and probably in the only way possible how a sound is pronounced in a language? Are there languages which write two or more sounds as (a single) r? I’m not surprised that something whih is articulatorily varible is also variable manner of articulation and phonation. My point isn’t mainly about orthography. We tend to think of ‘rhotics’ or ‘r’-sounds as having something in common when it’s hard to pin down what that is. The letter j corresponds to j in German, χ in Spanish and dʒ in English. We don’t tend to think of j, χ and dʒ as belonging to a family of ‘j’-sounds; but we do tend to think of a huge, disparate range of sounds as kinds of ‘r’. Check out Wikipedia. I wonder if all the R sounds of different languages do have something in common and it just hasn’t been discovered yet. The easy way out is appealing to Wittgenstein’s family resemblance. However, this way out does not advance our knowledge about rhotics. There is an impudent observation, and one that I’ve seen once upon a time in an American phonetics manual, is that the one common feature of all rhotics is that the they are written with the letter r. Delattre did a crosslinguistic X-ray motion film study of rhotics and decided the common feature was a circular tongue movement down in the pharynx. Sometimes we thought the common feature on spectrograms was a sharp drop in the higher formants and a sharp rise again, so you saw several V shapes stacked above each other. It seemed to work for Swedish (coronal or uvular). I was interested in vowels when I made my X-ray films, so I missed rhotics. I do have Swedish uvular, and Inuit uvulars (rhotic and stop), and Bulgarian (coronal tap). The critical constriction for uvulars is in the upper pharynx, same as for [oɔɤ]. A very useful post. Thanks! Here’s my question: Is it possible to hear [ˈpiːtsəɾəɫ] in “(When d’you think the) pizza’ll (be ready? )” (from John Wells’s English Intonation, E3.30.4)? You’re welcome! Yes, it’s definitely possible. Contracted will is typically non-syllabic after pronouns, so you’ll and who’ll can rhyme with pool. Otherwise it’s typically əl (though this can in turn become syllabic l), so linking r is possible. The same applies to the law’ll be repealed or Lady Gaga’ll be appearing. I’ll remember those examples (because I’ve just copied them out). Thanks again, Geoff. Aleph asks “Are there languages which write two or more sounds as (a single) r ?”. Well, if you are willing to accept the Pinyin transliteration of Mandarin Chinese as a language, then yes. I and my fellow students had great difficulty understanding how the sound of “r” in “rén” could sound so different to the “r” of “rèn”, and none of our three Chinese teachers could either hear the difference or explain it to us. It was only when I discussed it with the son of one of my teachers that he pointed out that the hanzi (“character”) for “rén” is completely different to the hanzi for “rèn”, and there was therefore no reason why they /should/ sound the same. Pinyin is, of course, a highly artificial “language”, and corresponds far more closely to a phonemic transcription than a phonetic. You can hear the two words used in context here (wǒ shì zhōng guó rén) and here (hěn gāo xīng rèn shí nǐ). But… there is a reason, which is that their Pinyin (which is admittedly only approximately phonemic) have something in common, namely the “ren”. So if the /r/s sound different, it must be due to the different environment, e.g. the preceding syllable coda or the tone on the “ren” syllable. Or it could be personal or regional variation, of course. Do you have the complete newsreel of barrel-making for me to hear please?